Official Viwawa Blog: Viwawa T-shirts Up for sale! 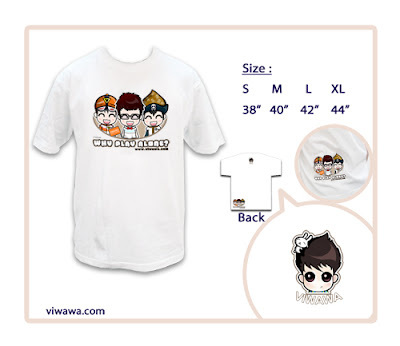 Viwawa T-shirts Up for sale! 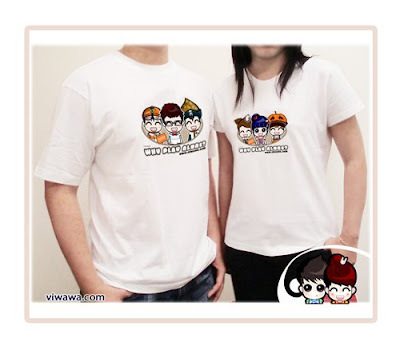 Our 'hot', 'fresh' Viwawa T-shirts are now up for sale! Get them now at our Standard Merchandise Shop! Available sizes for guys are small, medium, large and extra large. Available sizes for gals are medium and large. Get them now before they run out! Win Weekly Cash Prizes in Speedoku! Numeroid Z Spring 2009 Champion! Viwawa News: Summer break! June Holiday! Win a Wii @ Viwawa!